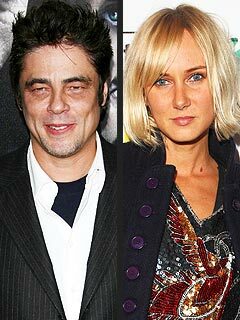 Stewart, daughter of rocker Rod Stewart, is said to be pregnant with actor Benicio del Toro's baby. Del Toro, an Academy Award-winning actor, 44, and Stewart, 31, are not a couple, but del Toro “is supportive and both are very excited” about the upcoming arrival, a source has told People.com. Stewart has worked as an actress and model while del Toro is best known for his award-winning turns in such films as 2000′s Traffic (for which he won the Best Supporting Actor Oscar), 2003′s 21 Grams and 2008′s Che.